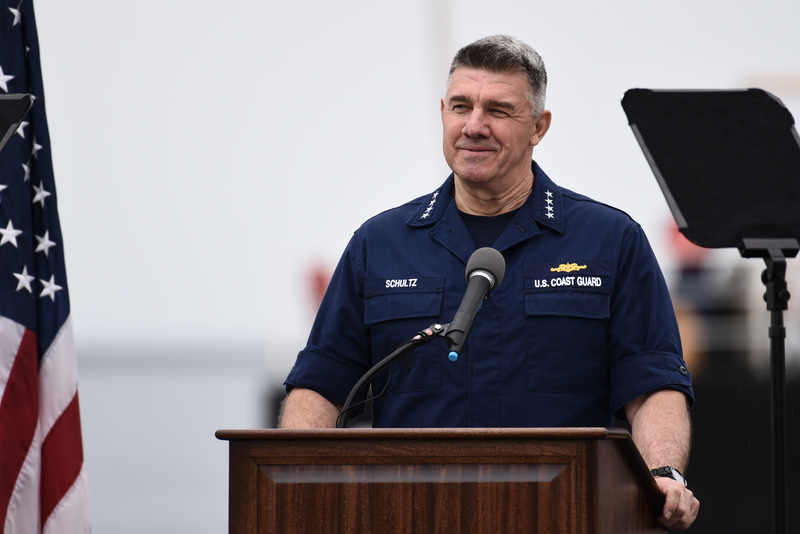 SAN PEDRO, Calif. — As the Coast Guard continues modernizing with new cutters, drones and other technologies, its top leader warns the service will reach a “tipping point” without sufficient resources to support and sustain the force. By providing a status update on the nation’s smallest service while visiting Coast Guard Base Los Angeles-Long Beach, Schultz also used the locale to highlight changes coming nearby to the nation’s two busiest ports — The Port of Los Angeles and Port of Long Beach. If their operations are combined, the Los Angeles and Long Beach ports are the eighth largest complex in the world. “But the tons of cargo moving through these ports are only one part of the story. Our nation’s economy relies on the safe, secure, and free flow of goods into our ports and on our nation’s waterways,” Schultz said during his speech before several hundred gathered on the lawn at Reservation Point. “The Offshore Patrol Cutter and Polar Security Cutters are our top investment priorities,” he said. 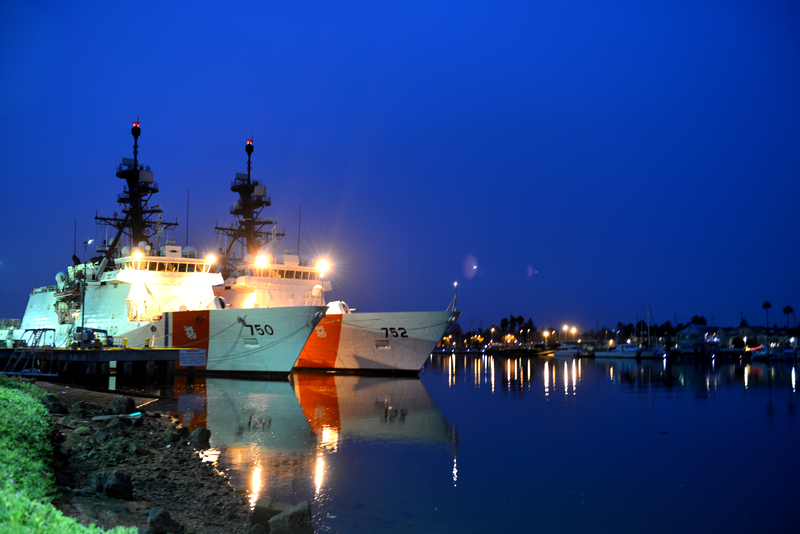 The Coast Guard’s Southern California footprint is increasing with the addition of four Sentinel-class, 154-foot Fast Response Cutters (FRC) and, within a few years, the Coast Guard’s first two Offshore Patrol Cutters (OPC) will be homeported at this small base. The service also is also replacing an air facility at Los Angeles International Airport with a new air station for helicopters at Point Mugu Naval Air Base in Ventura County. The FRCs, which have a 2,500-mile range, “are very capable. You’ve got further reach, they can do fisheries enforcement or counter-drug enforcement and further reach offshore,” Schultz told USNI News during a short ride aboard USCGC Forrest Rednour (WPC-1129), which had returned to its Los Angeles-Long Beach homeport following a four-month deployment to support the counter-narcotics mission for the Joint Interagency Task Force-South. USCGC Terrell Horne (WPC-1131), will be commissioned Friday. Each FRC has a crew of 24. The roughly-350-foot OPC “is a very capable ship,” he added. It will support various unmanned systems and helicopters, and while it won’t be ice-reinforced, “it can sail up to Alaska” and support the fisheries missions in the Bering Sea. Other investments include plans to replace the Coast Guard’s 35 aging river tenders – they average 55 years – with a Waterways Commerce Cutter, Schultz said. The first two OPCs will be homeported in Los Angeles-Long Beach, Schultz said. The USCGC Argus (WMSM-915) is under construction and is the first of what will be a fleet of 25 OPCs that will represent “70 percent of our offshore presence,” he said. The flagship of the Coast Guard’s cutter fleet is the 418-foot National Security Cutter (NSC) which is replacing the 378-foot High Endurance Cutters. Earlier this year, NCS USCGC Stratton (WMSL-752) traveled more than 23,000 nautical miles on patrol, helping enforce fisheries laws and combat drug smugglers, from the Bering Sea to the coast of Colombia. Stratton’s crew used a new tool in their kit: the ScanEagle unmanned aerial system (UAS) equipped with sensors that helped search for surface vessels. Every national security cutter will be equipped with the drone system, Schultz announced. By the end of his tenure, Schultz wants the entire NSC fleet equipped with ScanEagle systems. He also wants each new offshore patrol crafts to be equipped with UAS technology when they leave the shipyard. Schultz also highlighted the way Coast Guard crews are working far from U.S. shores. He detailed how national security cutter USCGC Bertholf (WMSL-750) recently wrapped up a patrol helping enforce U.N. Sanctions against North Korea while operating in the U.S. Indo-Pacific Command region. “They’ve helped with keeping an eye out for shipments of fuel, coal and things that they’re doing below the radar, (such as) turning off the AIS, or automated identification system or doing stuff that’s banned by the U.N. Security Council resolutions,” Schultz told USNI News. “Bertholf will be replaced by another national security cutter,” he said, finishing out the rest of the year. The service will take a good look at the value provided to INDOPAC and impact on its missions. “I suspect the work will be valued. I think there will be a demand signal,” said Schultz. “We’ve just got to come back and figure out how much of that we can continue to support. I’m wide open to the idea. I’m a little hesitant to make a commitment” at this point. 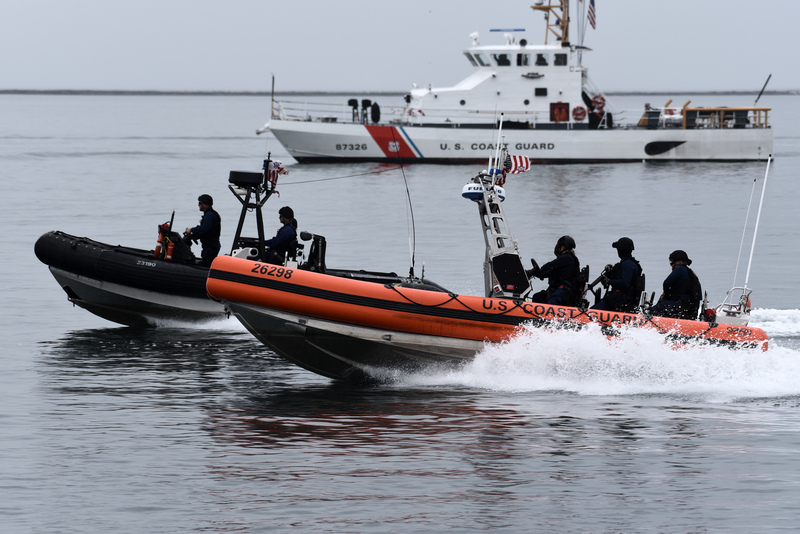 The Coast Guard has personnel deployed across several combatant commands. He cited the work of 300 Coast Guard men and women in the Arabian Gulf region who are operating six Island-class patrol boats, stationed in Bahrain, helping guard key infrastructure and maritime approaches. Replacing the Coast Guard’s sole heavy icebreaker is the most pressing recapitalization effort for the service. The Coast Guard remains deployed in the key, geo-strategic and increasingly-accessible polar regions, however, the Coast Guard only has two icebreakers, and one – the heavy icebreaker USCGC Polar Star (WAGB-10) – is well beyond its service life. Schultz announced this spring he will award the first construction contract for Polar Star’s replacement, the Polar Security Cutter program. Schultz also outlined some personnel-related initiatives. Last summer, he established a Personnel Readiness Task Force to look for ideas to help and improve the Coast Guard workforce. One area of concern is in inclusivity, he said. “My vision for the Coast Guard is that every member of our team has the right and the expectation to come to a safe workplace. To be part of a service that values them as an individual, that is free from threats and discrimination, and that is absolutely committed to each member’s success, and that of their families,” he said. 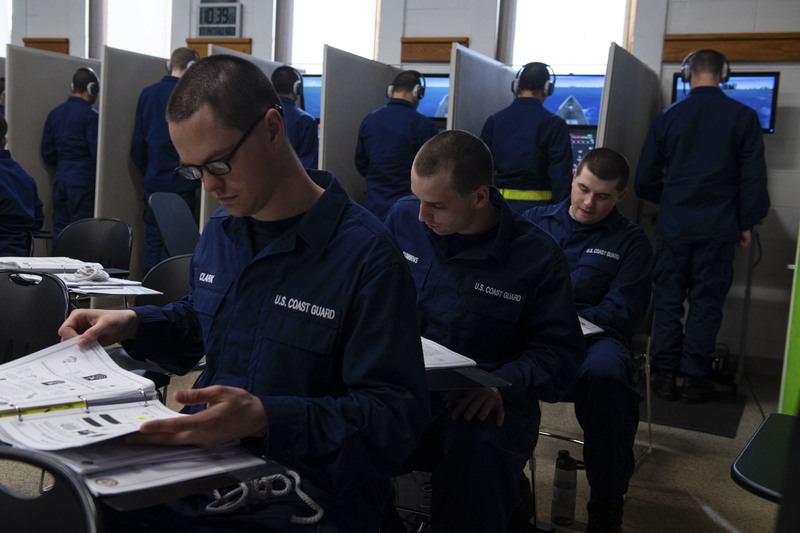 Schultz said he directed a “holistic” retention study, which starts this spring to explore challenges facing underrepresented minorities in the Coast Guard. 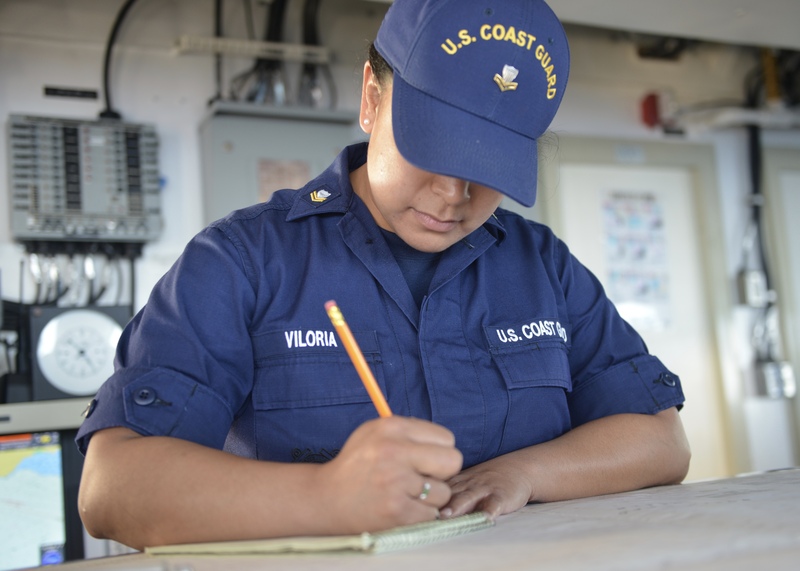 The retention study will be similar to a study last year’s “Women’s Retention Study,” which sought to learn why women leave the Coast Guard at higher rates than men. The results of that study will be released next week, he said, and a personnel readiness task force was directed to implement the study’s recommendations. Among the concerns in the study, Schultz said some Coast Guard members are wary of taking leave – such as for the birth of a child or to the care of a sick family member. “We’ve expanded our leave policy for new mothers, new parents,” he told USNI News. To help, Schultz is establishing a new “surge staffing” policy using Coast Guard reservists to “backfill” for members taking convalescent or caregiver leave, including leave taken by new parents. The idea is to enable active duty Coast Guard personnel to take leave without worrying about their colleagues being left short-handed. The 41,000-member Coast Guard is slated to grow, through the fiscal 2019-2020 budget. “We’ll continue to seek some modest growth,” he told USNI News but declined to say by how much. “We’ve got to better inform the number.” An increase would support the new cutters and larger crews than the older boats they’re replacing. “These actions are the first steps in a dedicated campaign to identify barriers to inclusion and to help frame solutions that challenge the status quo. They are small ripples that will lead to a groundswell of cultural change,” he said.